Sigh. I picked this up. But I only picked up the base pack for $1.25. 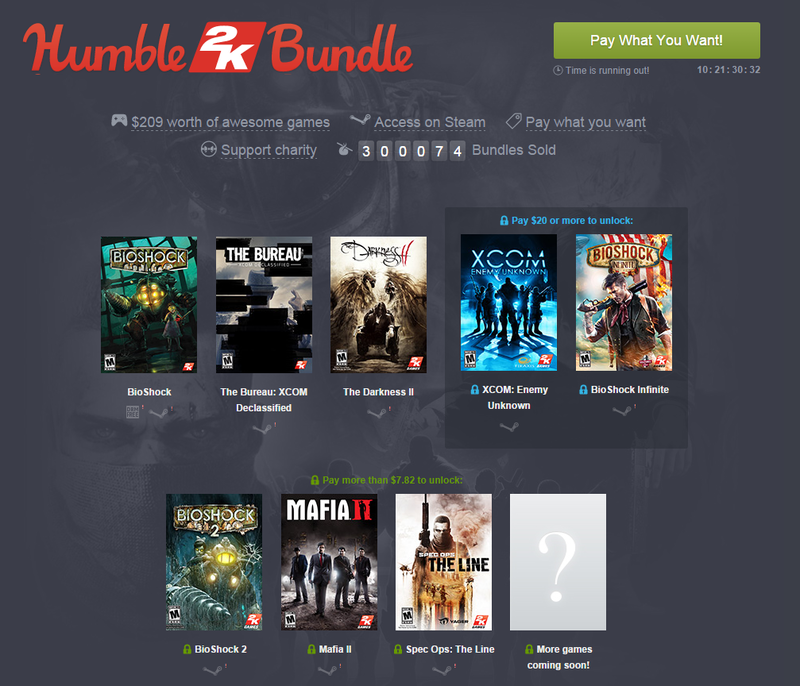 This is a good bundle if you don't have XCOM or Bioshock Infinite. I have also heard great things about Spec Ops: The Line. I already have those 3, so I just grabbed what I didn't have. The only game I sorta want to play is XCOM: The Breau. Even though it has received pretty low ratings, I still enjoy XCOM. Really wish it was coop. That would've been pretty awesome. Meh, for the price, I'll add it to my inventory.